Our guide to Washington will help you find the best wine spots in Washington District of Columbia. There are tons of great wine spots in the city of Washington, our city guide will help you find the best wine spots. You may have a hard time deciding what to do in Washington, but we make your decision easy. 1736 Wisconsin Ave NW, (202) 333-0111 - Offers classic, regional, and contemporary French cuisine in Glover Park/Upper Georgetown. Cozy dining room on main level and wine bar upstairs. 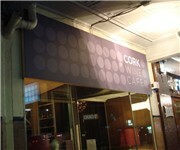 2031 Florida Ave NW, (202) 265-6270 - Veritas Wine Bar is a wine bar located in Washington DC. 2117 E St NW, (202) 961-8200 - F Street Bistro and Wine Bar is a wine bar located in Washington DC. 3238 Wisconsin Ave NW, (202) 362-0362 - Enology Wine Bar is a wine bar located in Washington DC. 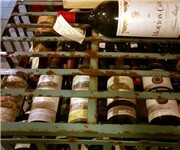 1635 Wisconsin Ave NW, (202) 337-2003 - Bacchys Wine Cellar is a wine shop located in Washington DC. 2115 m St NW, (202) 833-0707 - Wine Specialists is a wine shop located in Washington DC. 311 h St NW, (202) 842-3838 - Ta Tunnel Fine Wine & Spirit is a wine shop located in Washington DC. 4508 45th St NW, (202) 237-6200 - T W Total Wine & More is a wine shop located in Washington DC. There are plenty more wine spots in Washington. See all wine spots in Washington District of Columbia.